Reputed to be Ireland's best vegetarian restaurant. 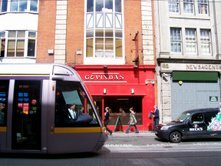 Address: 12 Moore Street, Dublin 1. Opening hours are mon-sat 10-5pm. 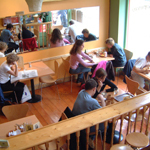 Healthy Vegetarian/ Vegan/Coeliac Cafe in Limerick.